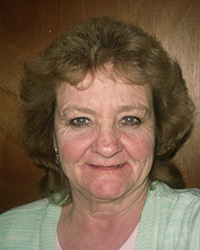 Darleen has served as manager of Desert Sage Manor since 2006, under the former owner and management company Good Samaritan Society, who transferred Desert Sage Manor to RHF in May 2010. Darleen is an exemplary Manager who carries out her responsibilities in a consistently stellar fashion and, at the same time, delivers the highest quality of service to our residents. She is a dedicated, loyal, highly competent, results-oriented manager- effectively making Desert Sage Manor a model community for its excellent physical condition, superb financial performance, and very high degree of resident satisfaction. Darleen’s dedication, loyalty, and commitment in providing decent, safe, sanitary, affordable, quality housing to our senior residents at Desert Sage are evident in her daily services and to the community at large in Hermiston, Oregon. Darleen not only performs her managerial tasks in a stellar way (keeping on top of HUD regulations, keeping the building at 100 percent occupancy, effectively implementing a preventive maintenance program, zero accounts receivables, timely submittal of all monthly/quarterly/annual reporting requirements, and keeping on budget) she acts as a service coordinator, an activities director, and events coordinator. Darleen does whatever it takes to put her residents first. The most recent resident satisfaction survey reflects a 100 percent overall satisfaction rate. 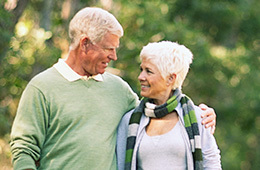 All of the residents are very proud to call Desert Sage Manor their home. RHF is pleased to present Darleen Nelson with the 2014 Manager of the Year Award.